Books come to life with Enterprise sculptures. In 2011 ten beautiful sculptures made from books mysteriously appeared at libraries and cultural institutions across Edinburgh. The sculptures came with a simple message: ‘a library is so much more than a building full of books… a book is so much more than pages full of words… in support of books, libraries, words, ideas’. To this day, no one knows how they arrived and the identity of the sculptor remains a secret. The book sculptures traveled around the country in the Gifted exhibition. This was designed as a tribute to the presence and vitality of libraries and arts institutions in Edinburgh and across Scotland, and to the generosity of the anonymous artist’s gesture. The sculptures were also intended as a gift to the communities which supported such places. 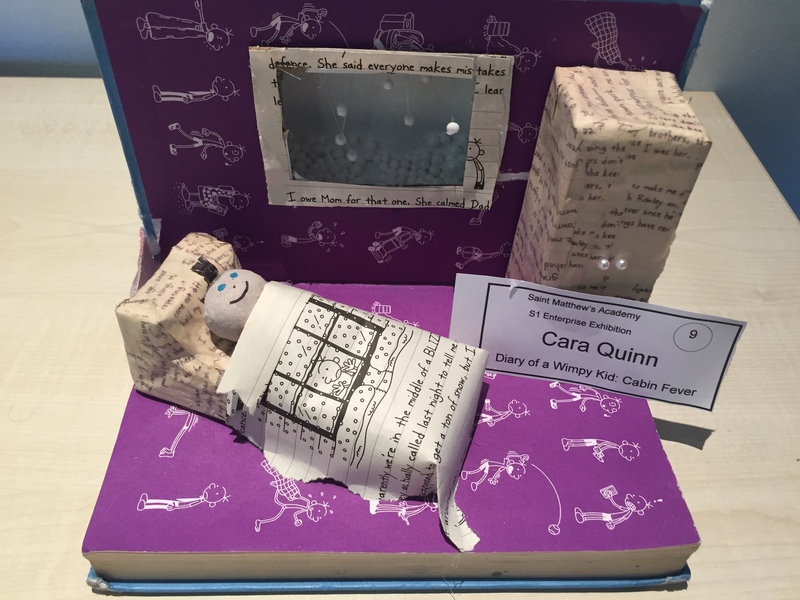 In response to this 1st year Enterprise pupils created their own book sculptures based on a favourite childhood, or current book. 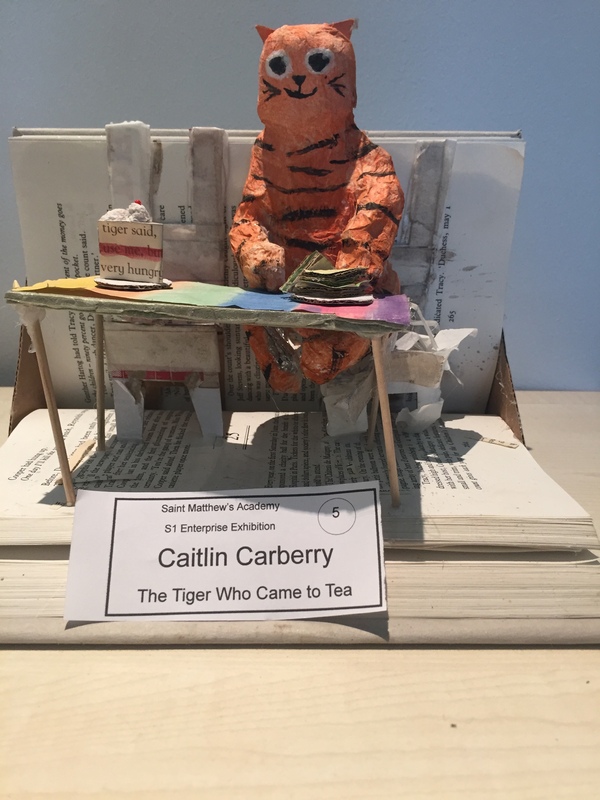 Work began by deciding on key characters and events within their book and through initial research and creative thinking pupils began to create paper sculptures suing paper mache. They created a scene or character from the book and used text from their chosen book as the final layer. 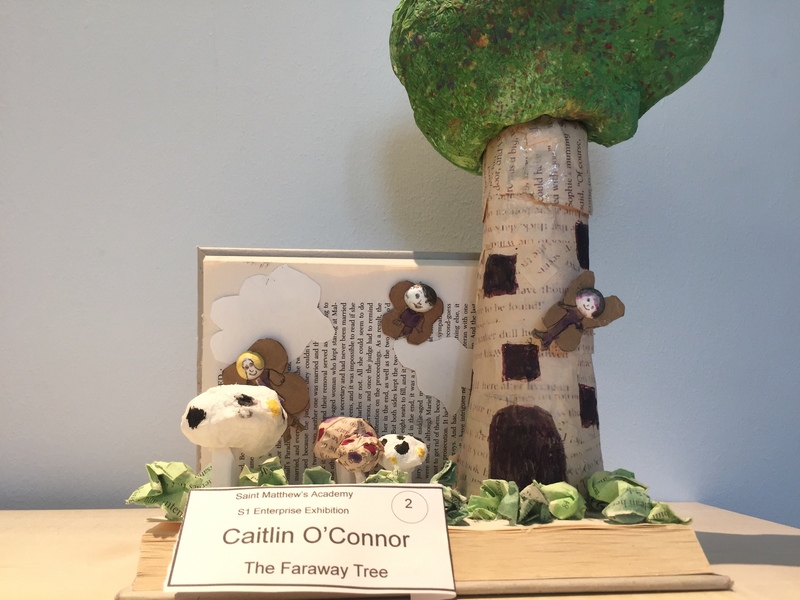 The book sculptures were displayed in the Enterprise exhibition and Tidelines book exhibition at the Harbour Arts Centre in Irvine. Thank you to Mrs Bell and her enterprise pupils. 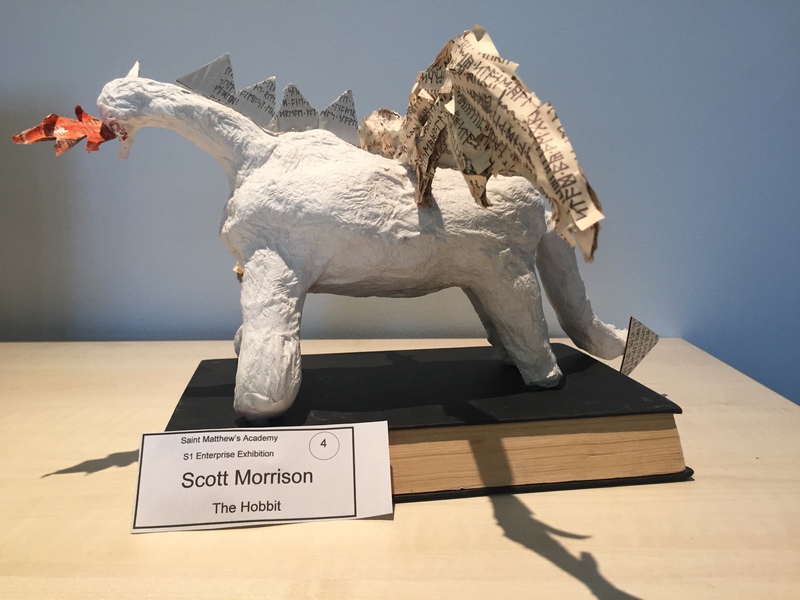 The Book sculptures are currently on display in the library for everyone to see. Being part of the Buddying programme was something that I had wanted to do so I could help and assist younger students so when the opportunity arose for me to sign up for the programme, I did. I have since been assigned an S1 buddy who I do paired reading with twice a week or any homework or work that she needs help with. Buddying has been an invaluable experience for me as it has given me the rare opportunity to work with a younger student and help her deal with adjusting to secondary school. It has helped me be a good listener and to be increasingly attentive when not only speaking to my buddy, but to my peers. It’s especially important to me as I think back to when I was I first year and really wished that I had someone who I could always talk to and give me advice and help with any of my problems; big or small. It has also assisted me in being more comfortable with reading aloud, which I think makes people nervous in general; it makes me really conscious of what I’m saying and has helped me become more comfortable with the reading in public. It’s an unforgettable experience to have in my last year of school to know that I am there for someone socially and emotionally through their transition into a completely knew and daunting environment – it is great comfort. 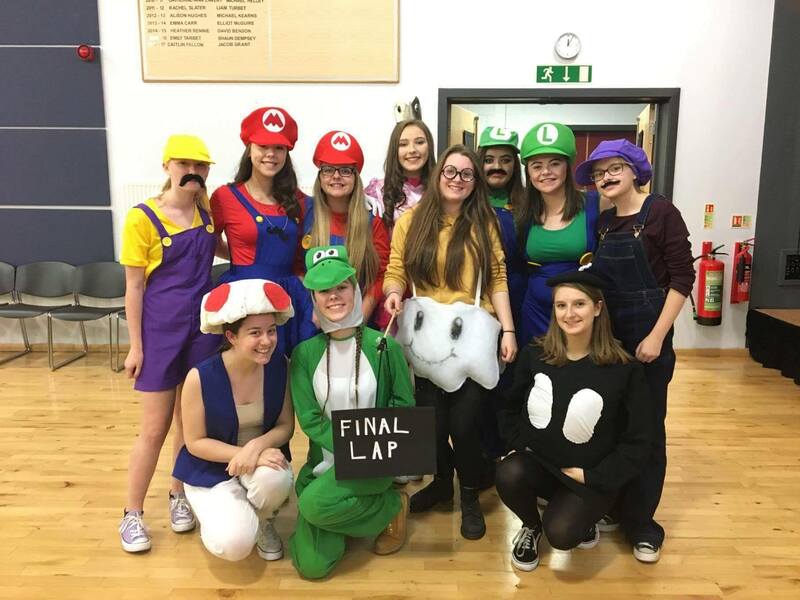 Since beginning the Leadership course at the start of the year Megan Copeland has shared her enthusiasm for Chess by running a Chess club every Monday Lunchtime. Recently she has started a mini-tournament within the club to encourage the members to meet new people and improve their skills. Although she has not competed recently, Megan has been crowned U18 champion at both the girls and overall section of the Ayrshire wide competition. Her love of Chess began as she was taught to play chess by her dad when she was aged 7. 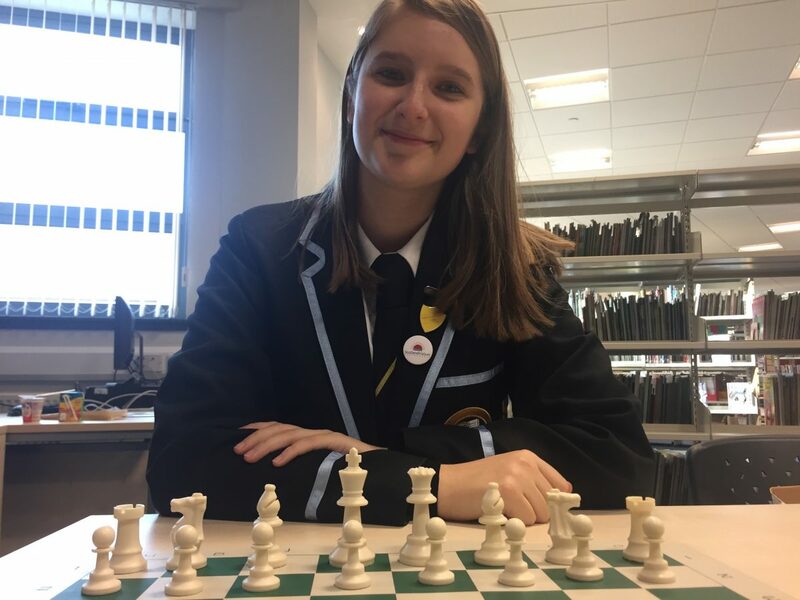 When discussing the chess club she was shocked to realise that this means she has been playing chess for 10 years!While many people play chess to relax Megan enjoys the tactical side of the game as well as the competitive element and wishes to pass this down to other members of the club. From beginners just learning the rules of the game to the more experienced players the chess club provides a place to have fun and meet new people while developing your skills. The chess club runs every Monday in the Library. All pupils aged 1st to 3rd year are welcome no matter their ability. After a bright and early start at 6am we set off on a 5 hour train journey.Once at Euston we got a bus to our hotel then dumped our stuff before heading off, excitedly, to the magical world of Harry Potter. No one could have predicted the magic that was hidden inside the large and yellow building. As soon as we opened the doors we were immediately amazed; Ron’s classic blue car hung proudly in the air, pictures of all the cast were fixed on the walls and at the entrance was the well-known, “cupboard under the stairs”. This was just the beginning. Since it was Niamh’s birthday she got to open the magnificent doors to the Great Hall. It looked the exact same as in the movies; the two long tables were both laid with glittering golden plates and goblets. Behind each table stood the house uniforms; Slytherin, Hufflepuff, Ravenclaw and Gryffindor. Outside the great hall were all the main sets of the movies. The main ones included; the Wizard’s common room, Hagrid’s house and The Grand Staircase. After many group selfies we went outside the main building to Privet Drive where we got to enter the Dudley household! Inside we saw the living room where there was many letters around the room suspended by strings. It looked the exact same as it did in the movies when Harry’s letters to Hogwarts were flying around the room. Next we actually go to go inside Ron’s car and ride Hagrid’s motorbike. 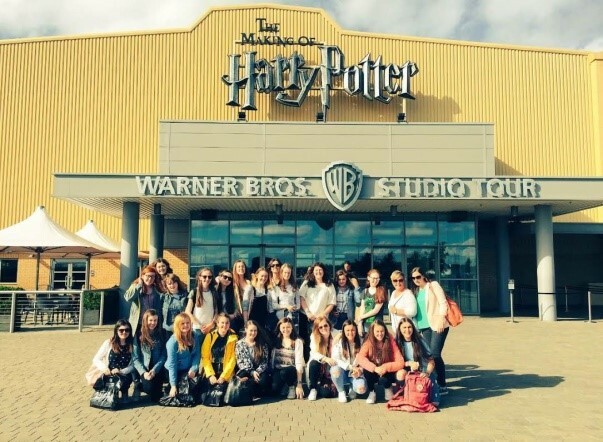 The tour had made Harry Potter come alive! The most amazing part for me personally, was getting to go on Hogwarts express and see inside the carriages. I felt like I was reliving the first time Ron and Harry met Hermione! 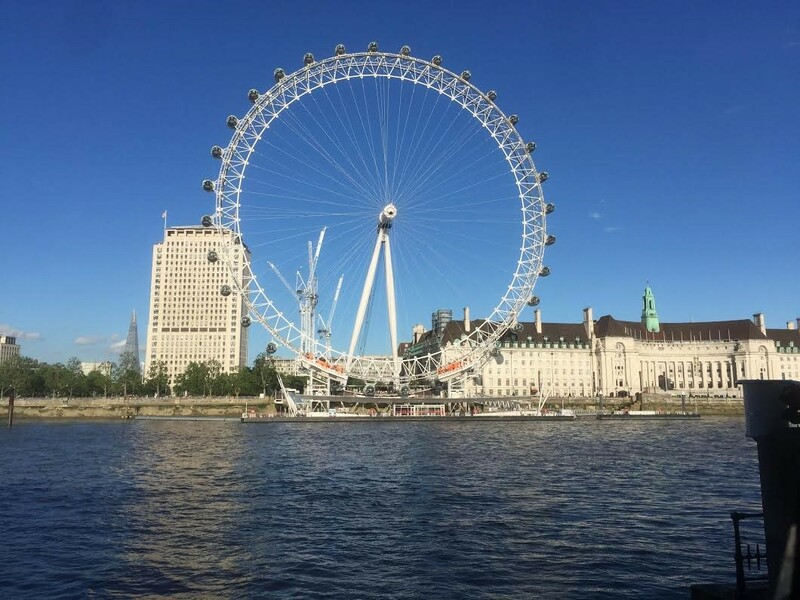 After the weird and wonderful tour of Harry Potter World we got on the London Eye. Luckily, the rain and cloud had cleared so we got an astonishing view of the city. We could see Buckingham palace from the top, and got amazing photos of Parliament, which we got to visit the next day! 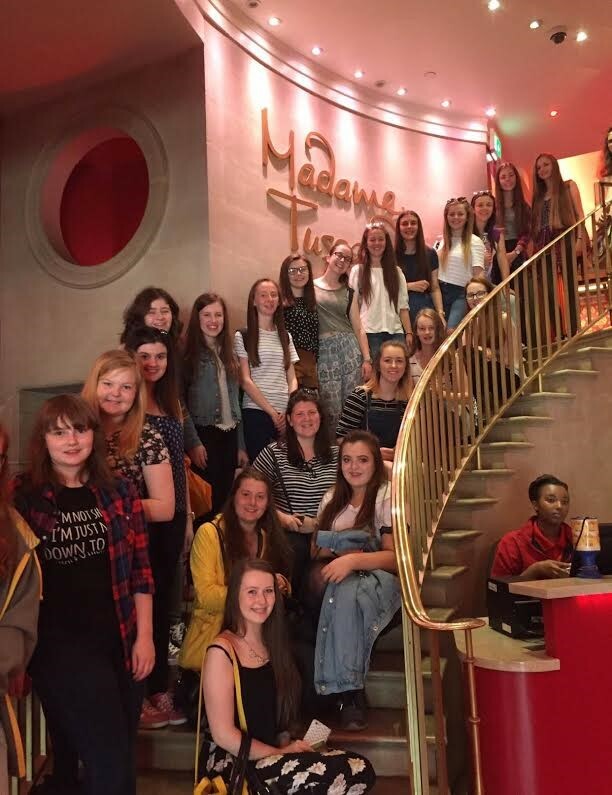 The following day we visited Madame Tussauds, the worldwide famous wax museum. We got to meet the great Leonardo DiCaprio, who looked even better in person may I add, and other stars including Emma Watson, Usain Bolt, Beyoncé, Posh and Becks, the legend Muhammad Ali and so many more! All the wax figures were very realistic. Sometimes I even felt I was being watched! For lunch we had a delicious meal at The Hard Rock Café. 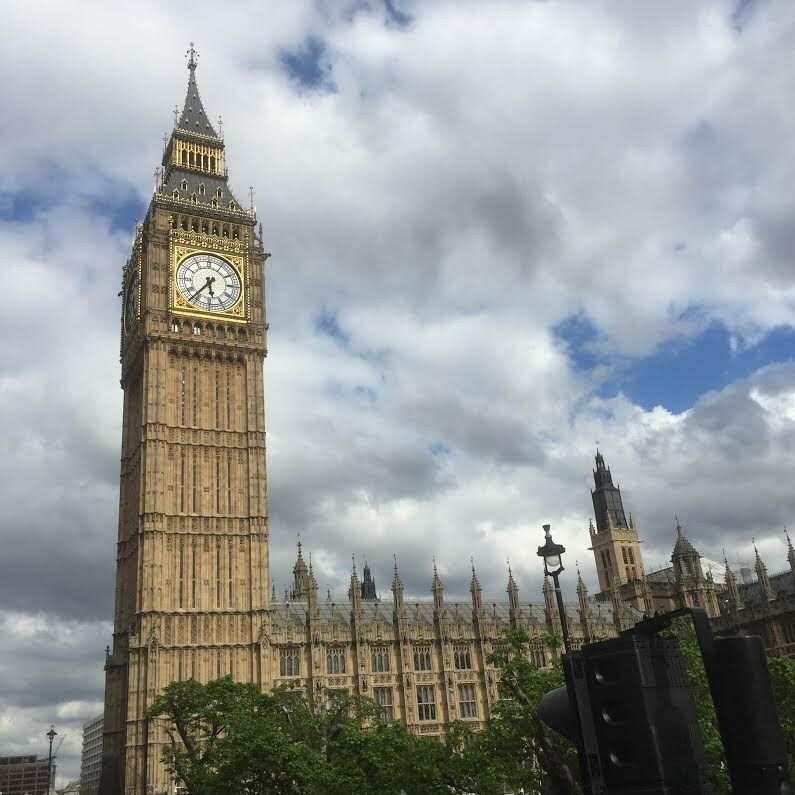 Then next on our list was The Original Bus Tour which took us from Big Ben to the beautiful St. James’s Cathedral! The architecture of the cathedral was breath-taking! We also got to see the dragons that mark the boundaries of the city of London. Their backs face the city because they are guarding it. Personally, my favourite part of the tour was getting to see The Shard. It amazed me how tall it was, 310 metres! Last stop, Charlie and The Chocolate Factory! The show was very similar to the classic tale of Charlie and the Chocolate Factory but it had some very interesting twists and original songs. The actors and actress’ played their parts excellently. Young Charlie was especially great! I wasn’t sure that they would be able to pull off some scenes, due to the futuristic style in which Roald Dahl originally portrayed Wonka’s world, however the cast and crew definitely delivered. 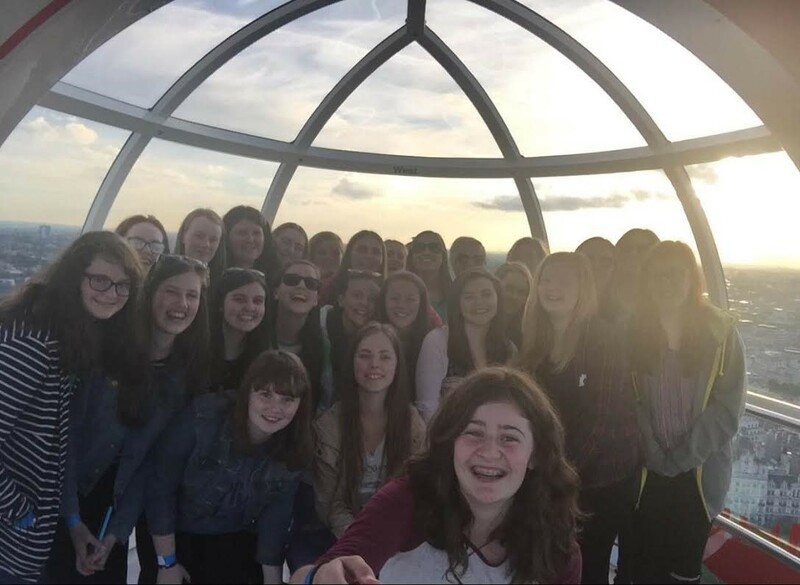 London was undoubtly a brilliant experience with the most amazing people! What does the word bullying mean to you? To some people it is their life. That is not even remotely acceptable in this day and age. People of all ages suffer from different types of bullying. For example there is cyber bullying which is on computers and social media. Social media is great for keeping in contact with people but when it is used wrongly it can damage people’s lives creating lasting mental trauma. Another type of bullying is physical bullying which can mean that a victim could be punched, kicked, slapped or even worse leave the victim with physical and emotional scars. In the future bullying victims can find it hard to trust people, especially in the unfortunate cases where a person has been bullied by one member of their friend group who has then convinced others to do the same. There are only a few main types of bullying but in this school we want to ensure that none of these actions are taking place to any pupil. That’s the what we want to achieve as Anti-Bullying ambassadors in this school. Our aim is to become a role model for other schools to follow. After selecting our Anti-bullying ambassadors last year we embarked on expanding the programme by providing training to the volunteers. 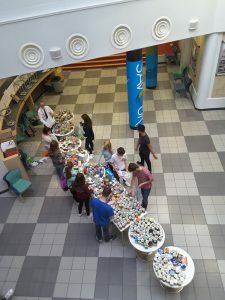 This included team building exercises and problem solving workshops as well as discussions about different types of bullying and its effects. One of the most hard hitting exercises required pupils to write a list of all that a child needed to grow up healthy, a list which normally included practical elements like clothing or eduction and then more subjective terms such as love, confidence and friendship, and then were prompted to acknowledge how bullying could damage, or in some cases completely remove these from a child’s life. The workshop concluded by watching a video presentation about what advice the Anti-Bullying ambassadors should give to those who approach them. After which the volunteers were ready to go out into the school and local community and spread the message about bullying! 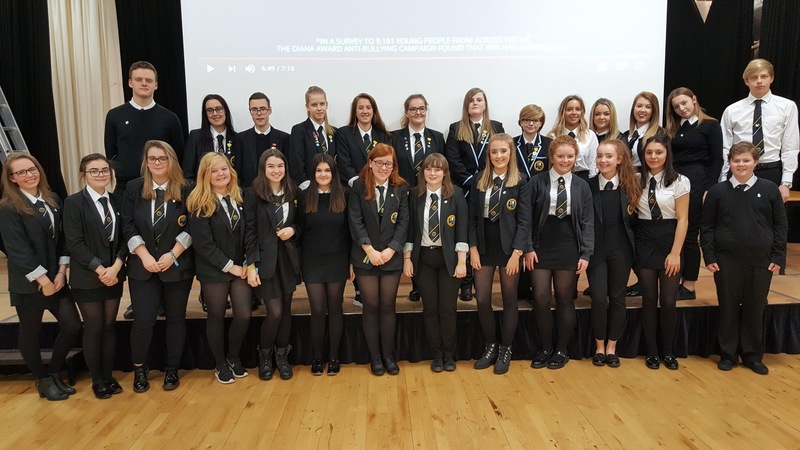 This week at year group assemblies the work of the anti-bullying ambassadors was shared with the rest of the school community. In a short presentation from various teachers who make up the anti- bullying committee the effects of bullying and what you can do to counter-act this was explained. A video by Marcus Butler, a popular Youtuber, was used to highlight how bullying can effect everyone. 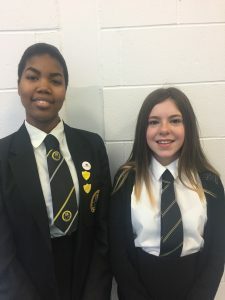 Following this the Anti-Bullying ambassadors were presented with wristbands and badges so that they can be identified within the school as someone who can be approached should someone be struggling with bullying or wish to report an incident of bullying. While progressing through my senior phase of secondary school, I became increasingly aware of the importance of having a good organisational system in my life. Inspired by the mention of how bullet journaling helped the very busy YouTuber Dodie Clark – doddleoddle – and after further research, I came to the conclusion that it was a useful tool that would prove beneficial to me. Since this decision, I have not turned a homework exercise in late, remembered the (mountain) of upcoming tests I have and have not slept in before work because I forgot my start time. Now that’s a miracle! Each type of notebook comes with their own perks and flaws but when deciding which to pick, practicality is essential – you don’t want to spend unnecessary time on something which could easily be solved with a different type of paper. Index – numbering your pages and keeping track of where everything is located is a great way to keep you organised. Collections – these are things like future goals, monthly logs, daily logs, sketches, lists, and mind maps. They can even include useful tips such as sleep trackers, which are helpful for people like me who are lucky to get 5 hours sleep per night. Rapid Logging – this is where the term bullet journaling stems from. Using different symbols, you can jot down anything you need to remember, like homework, and upcoming exams. This is where a key would come in useful to differentiate between tasks, events, and appointments. Migration – if you don’t complete a task, you can migrate it to a new list or day. Bullet journals can be as generic or personal as you like; it’s supposed to appeal to YOU. Adding quotes, drawings, pictures, and colour can make the idea of using a bullet journal more appealing. Craig McDonald is a sixth year pupil and sports enthusiast. He became a sports leader last year and has been running the sports 4 all club on Friday lunchtime ever since. This year he is also coaching a Primary 3 football team in St Peter’s Primary. 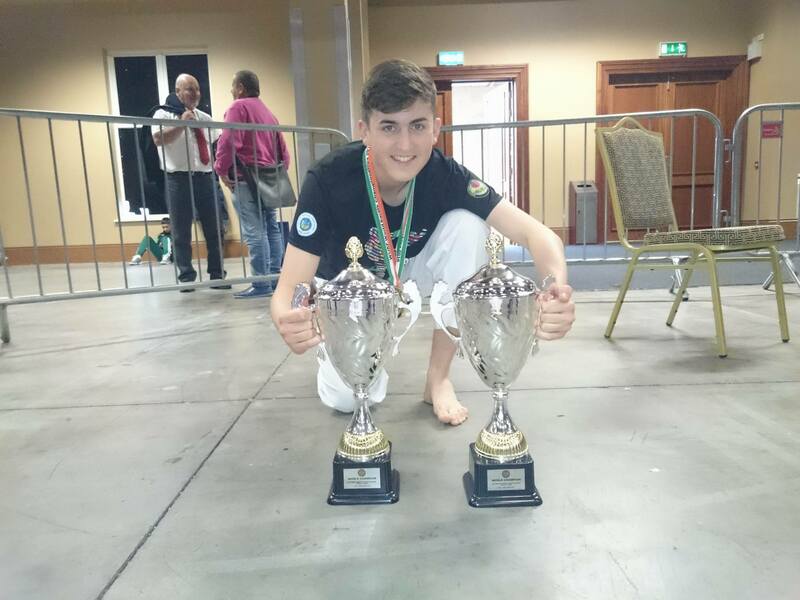 In June he won the WUKF World Karate Championships, 18-20 team rotation and individual team fighting. What got you interested in sport? I got involved in sports because I had an interest in playing a wide variety of sports from a young age. I’ve always had an interest and wanted to be involved with sports. Why did you want to become a Sports Leader ? I was inspired to be a sports leader as I realised the importance of my own coaches as a youngster and the difference they could make to ensure people enjoyed sports and could improve at the sport. In this role I am able to interact with youngsters and try to encourage and them to improve and most importantly enjoy the sport that they are taking part in. I really like football, golf and karate but I’d have to say karate is my favourite sport. Competing at the highest level has given me the opportunity to visit countries I would not ordinarily have visited such as Serbia and Poland making friends from different countries along the way. I really enjoy the training as it keeps me fit and prepares me well for competitions. The Sports 4 All Club is one of the most popular clubs at St Matthew’s. Once a week pupils are given the opportunity to try out new sports which they may have not played before including Wheelchair Basketball,Sitting Volleyball and Boccia. Boccia is described by the Great British Boccia Federation as ‘a sport designed for athletes with severe impairments and has no Olympic equivalent . It is a target ball sport similar in principle to bowls but is played inside with soft leather balls. It is a sport of intriguing tactics; incredible skill and nail biting tension.’ These sports differ from some of the other clubs on offer as they place everyone, no matter their physical ability, on an equal playing field. 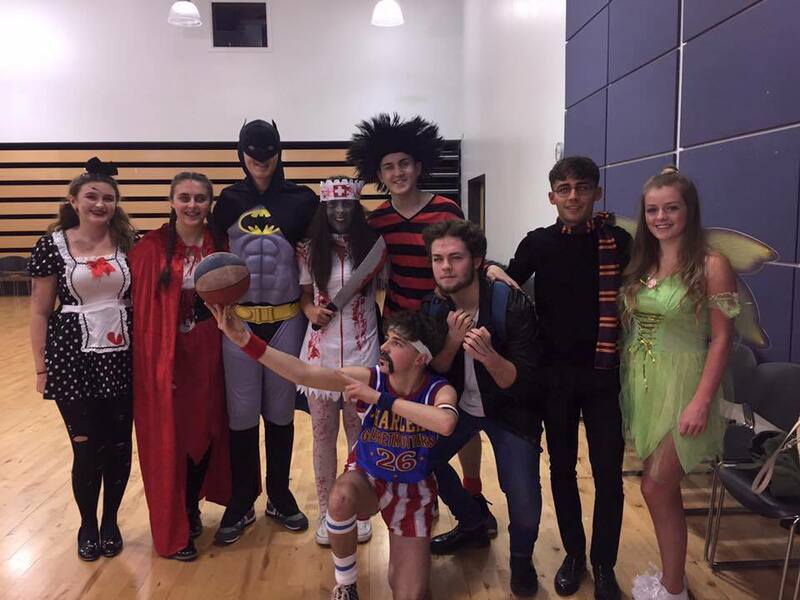 On Friday 28th October 6th year pupils raised £263 for the Brightest Star Charity. 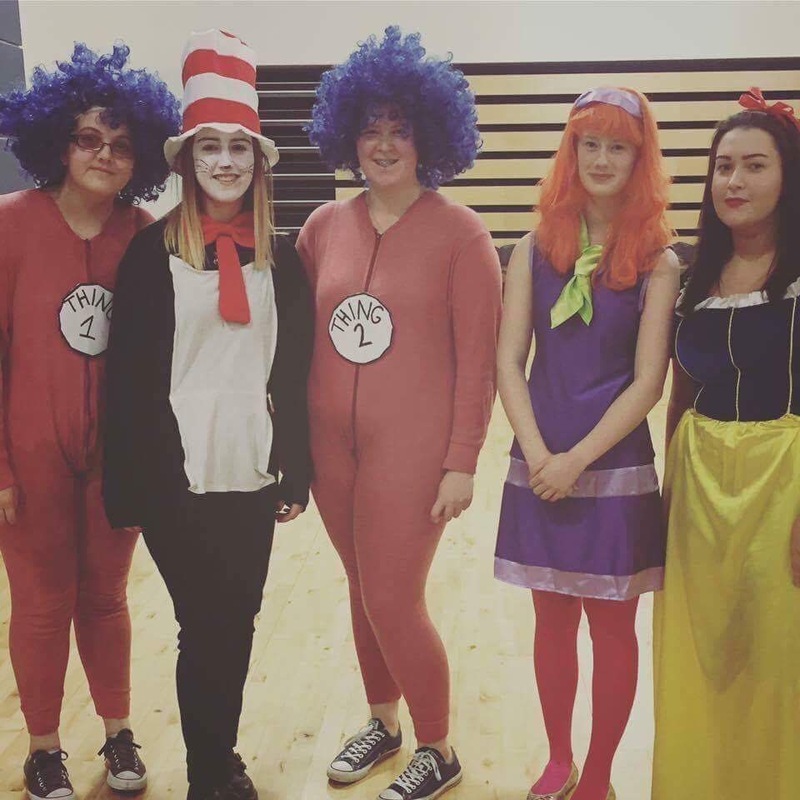 To celebrate Halloween the pupils came into school in fancy dress and donated £3 to the chosen charity so that this annual event would help support bereaved families across Scotland. Unlike the majority of my peers, I was fortunate enough to have been blessed with early exams this year; thus resulting in 2 weeks of freedom whilst everyone else studied hard. A similar situation occurred last year (I just seem to have all the luck) where I had one week of exam free bliss, which I soon discovered was not in fact bliss but extremely boring since all my friends were too busy studying to do anything fun. For this reason, I decided to make the most of this year’s study leave and improve my French by visiting my friends in Paris; whom I hadn’t seen since last summer. My luck continued as I soon discovered while planning my trip that my friends’ exams weren’t until June so I would be able to attend school with them. Finally, I would be able to make a true account of an ‘échange scolaire’ that I had been writing in my French exam for 2 years. 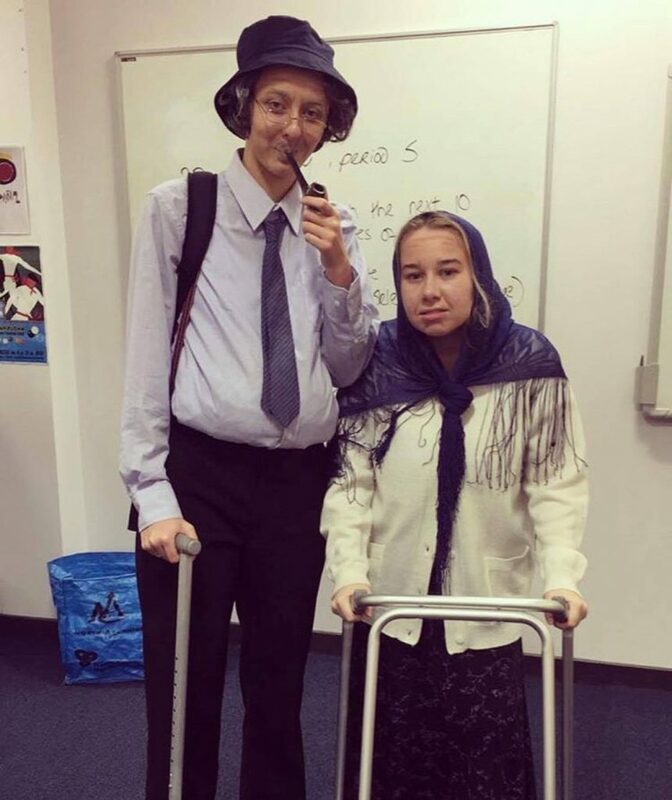 As I entered Lycée Blomet, my first impression was one of shock, as all I witnessed was chaos everywhere as groups of pupils ran up and down the corridors, shouting and throwing stink bombs and confetti. Fortunately, I was quickly informed that it just so happened that the week I was there was the last week of school for the Terminale (6th year) and it was tradition to cause as much havoc as possible to try to get expelled before the week was up! For me this was just more entertainment, however the teachers had me assured that this was indeed a very good school and the pupils did not normally behave like this. Other than the distinct difference in end of year tradition, I found – to my surprise – few other contrasts from our school. There was, of course, the case of the toilets being communal and in addition to that the size of the classrooms were smaller and more cramped with only one computer in the whole class, solely for the teacher’s use. The only other major difference that was most definitely unexpected was that the teachers were the ones to move classes instead of the pupils so I ended up spending the majority of the week in the one class, only moving for the chosen subjects. In France, you don’t choose subjects but rather which type of bac (their equivalent of Highers) you want to achieve: Literature, Science or Economics. Since my friend, Cécile, was in the Literature section, I was in History, French and English Literature all in the same classroom with all the same people. 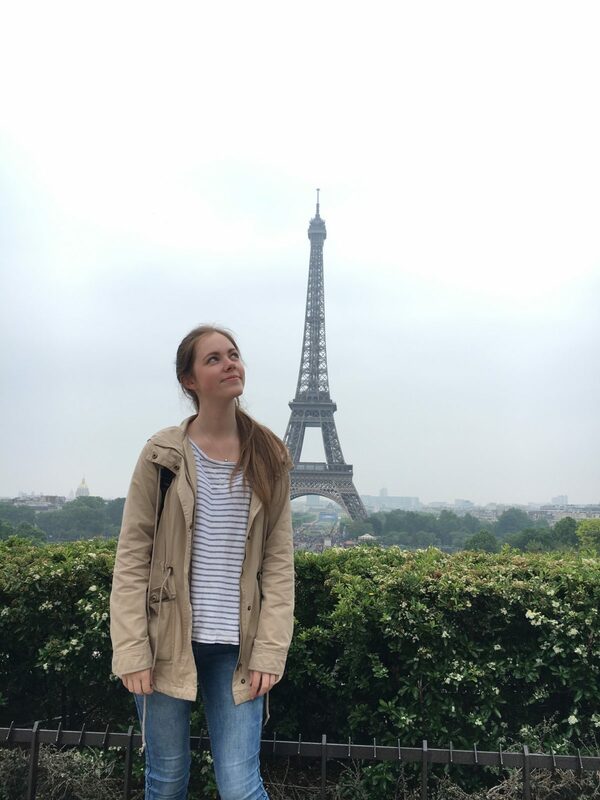 However, there is room for selection, which for Cécile was Italian and German, as well as basic Maths and Science that is compulsory for the Literature pupils. The specific Literature classes, I found, were less based on pupil interaction and more centred around the teacher talking and the pupils taking notes. However, I found the language classes to be very interactive and it came as a shock for me to see that they actually spoke English in English class, studying texts with words even I didn’t know! All in all, this was an extremely enjoyable and educational experience for me that I would recommend to anyone with an interest in languages and I must say, although the French reputation for food is simply exquisite, I’d still take our canteen any day! To serve the local community wherever they need it like the founder Frederic Ozanam. What kind of tasks are members of the group met with? At our weekly meetings we start with a prayer followed by a reflection piece one of our members will have created. We then talk about the work achieved the previous week, plan for the following week, and then close with a prayer. On the Monday following food bank Friday we pack up the food for the foodbank. How does the group help others? The group try and support as wide an area of the community as possible. With out Winter Woolies Campaign hats, gloves and scarves were donated to the homeless. A number of iPods and earphones were donated to the Playlist for Life campaign to help those with dementia. Our members collect non-perishable foods on a monthly basis from the school community and packages them up for donations to the foodbank. Some of our members work and have worked in the the foodbank at the weekends. The parishes are extremely grateful for the food parcels and at Christmas and in recent years the number of made up has increased greatly so thank you to all for their contributions. What has the group achieved in the past years? The group has supported the local foodbank for a number of years now and this has been a great support for them as it is a constant supply. They find that they have busy periods for donations but the need for food parcels is always there. We also make up food parcels to give out to the parishes for those in need over Christmas. What are the aims for members this year? We are looking for our members to of out into the local care homes to give technical support for IPads, IPods and IPhones, We also will continue with our highly successful Foodbank Friday project.